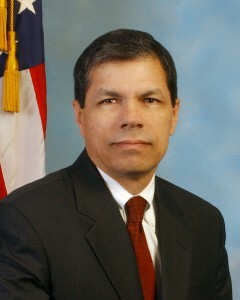 WASHINGTON — Native Oklahoman Dennis L. Baker, special assistant to the FBI deputy director, has been picked to head the St. Louis office. Baker started his FBI career as a special agent in June 1988 and was first stationed in Charlotte where he worked violent crime and drugs. In 2002, he was promoted as a supervisory special agent in the Counterterrorism Division, International Terrorism Operations Section at FBI headquarters. Two years later, he transferred to the Phoenix Division as a field supervisor where he supervised an international terrorism squad that included members of the Joint Terrorism Task Force. In 2007, he returned to headquarters as a team leader in the Inspection Division. And the next year, he was promoted as assistant special agent in charge (ASAC) of the Sacramento Division. Posted: 11/15/10 at 6:07 PM under FBI, Milestone, News Story.